The embrace of individuality set against the drama of Tokyo and the ephemeral beauty of the blossom festival was the backdrop for the hairstyling action in latest Rodney Wayne campaign. New Zealand’s most awarded salon brand, with salons in key centers around the country as well as its highly successful professional hair products franchise, Shampoo ‘n’ Things, Rodney Wayne is dedicated to enhancing the unique beauty of every guest. Our latest collection focuses on revealing the hair’s natural beauty and enhancing it with precision styling, glowing colour and the latest in haircare technology. The crew traveled to Tokyo for the campaign, which was chosen for its juxtaposition of the ultra-modern with the historic and traditional; its beautiful, artistic chaos and kaleidoscope of fashion and culture. Bringing further drama to the shoot was that it took place in the Japanese spring, against the ethereal backdrop of the iconic sakura, or cherry blossoms, which flourish around the city in explosions of white and soft pinks. Creative director Lachlan McPherson says the setting for the campaign evolved around the concept of renewal and rejuvenation. We talked to Richard Kavanagh (known affectinately as “Kav”), Rodney Wayne’s long-time creative director, about the inspiration behind the shoot; how he developed each look, and tips and tricks for achieving each style. What would you say to someone wanting to change up their hairstyle for summer, but is a bit unsure of the direction they want to go in? Kav: You don’t have to make a dramatic change to freshen up your look. You can go for a very subtle change of colour, or alter the angle your hair is cut on. Work with what you have naturally and turn it up a bit. If you have a wave or curl – amplify it. The best place to start is with a very honest conversation with your stylist, about where you want to take your hair. Where did you get your inspiration for the 2018 campaign? Kav: It’s come from the early 90s for sure. There’s no imagery in particular I based it on – I never reference a reference – but I will draw on a general mood of an era…what was the energy of that time? The early 90s was about the individual, about letting go of the radical cuts and intense colours of the 80s, but still wanting ‘direction’…it was about the unique texture of the hair, coupled with a freedom and a looseness. Kav: This mid-length cut is probably the most versatile you can have because you can do so much with it, it’s the easiest length to work with in terms of having it out or up in a top knot…it’s perfect for a messy plait. It sits slightly longer than last year’s Lob [long bob]. I cut it concave with blunt ends, because this shape makes finer hair appear thicker. Wave it with a bend, rather than a curl, and enhance it with a sea salt spray and dry shampoo for a fresh, light and romantic feel. This rich icy-blonde is updated for the season with iridescent lowlights, and is slightly darker and more buttery underneath. Blast this style dry with the hairdryer set to ‘hot.’ Wave with ghd classic curl tong, mist with Redken Fashion Waves 07 sea salt spray and finish with Redken Pillow Proof Two Day Extender dry shampoo. Kav: This is a geometric bob, which sits short and blunt at the nape. It’s an A-line shape, that’s left slightly longer at the front. I styled it with a subtle bend, adding a salty texture and flipping it to one side – it creates a softer, more open shape. Wear it with a center part to accentuate the graphic lines – it’s stronger and more chic like this. Soft copper is anchored with a warm brunette at the roots, and dimension is added with a wash of golden copper highlights, which I hand-painted for a more natural feel. Rodney Wayne salons are all offering the SmartColour service with hair colour, which uses L’Oréal Professionnel Smartbond to add strength, shine and softness to hair. Wave the hair with ghd Curve Classic Wave Wand and finish with Redken Fashion Work 12 Versatile Working Spray. Kav: There’s a nice little back-story to this shot. Clara was a dedicated hair-straightener, which was great, but we knew that she could look and feel totally amazing if we could get her to release her natural curl for the shoot. I cut it into a short shag to hug the face, and frame the corners of the eyes. Then I diffuse-dried it with a lightweight texture spray and ruffled it into shape. This brunette gloss has subtle golden copper highlights, which enhances the hair’s natural curl. This haircut can also be worn straight – it has heavy bangs and an edgy feel to it. Clara was so thrilled that she FaceTimed her grandmother from the shoot, who also has curls and loved that Clara was embracing her natural look. It was a pretty magic moment. She contacted me later and said it had given her the confidence to be herself again. So don’t be afraid of the curl! As long as you have the right product and technique, it’s a striking look that is so versatile. And you’ve got that automatic volume and texture, which everyone wants. Release your natural curl or talk to your stylist about the possibility of a perm being right for your hair. Add Redken Full Effect 04 Mousse to shampooed, conditioned, towel-dried hair. Dry with a hot hairdryer with diffuser attachment, then refine curls with a ghd Curve Creative Curl Wand and shake out. 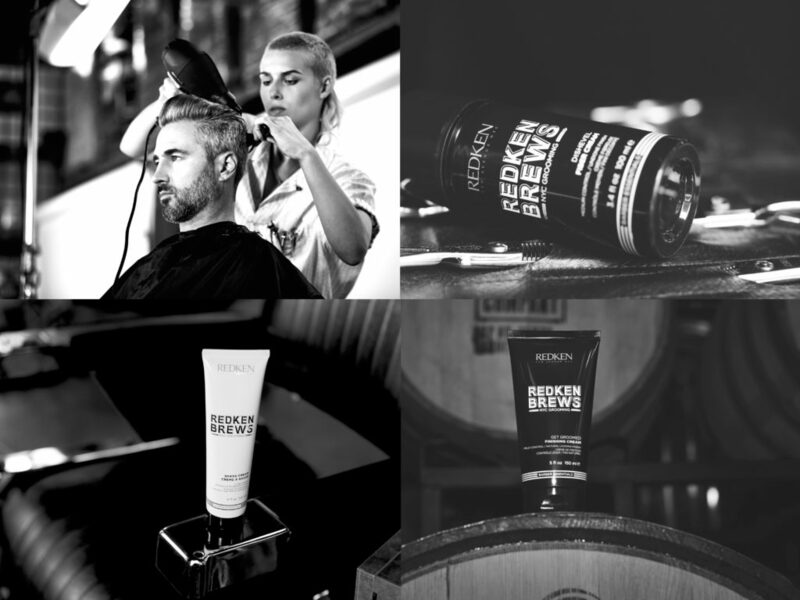 For extra definition, style with Redken Rough Paste 12. You can check out all the action from behind the scenes in Tokyo here. Then, find your favourite Rodney Wayne salon and release your true beauty with a look that is totally ‘devoted to you’. 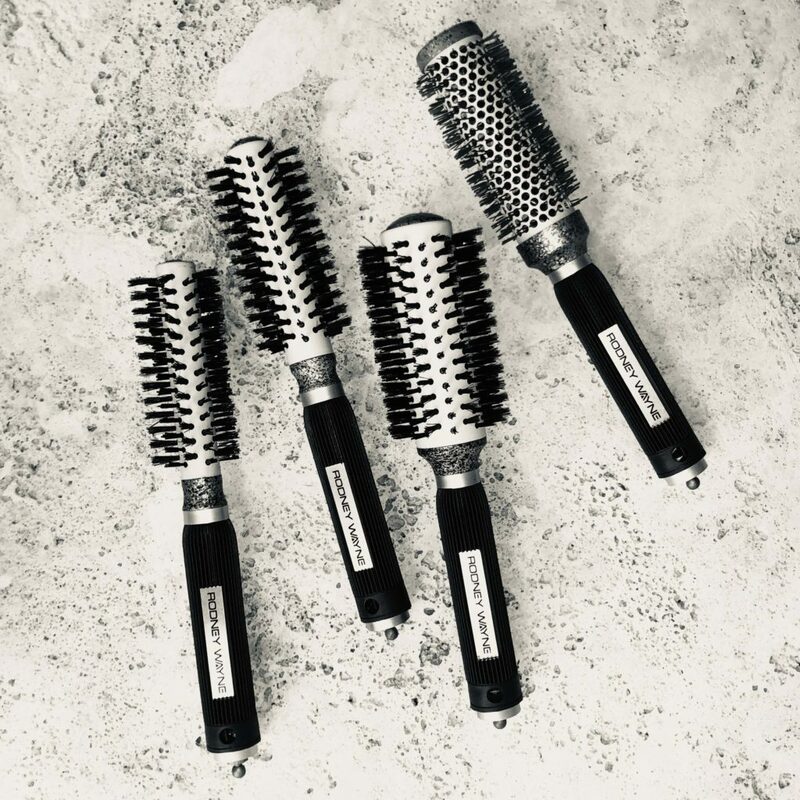 Your Complimentary Styling Brush Gift!